Nothing like a free pass for war on the steppes. The newly-launched Nomadic Tribes Culture Pack for Total War: Rome II will be free for the first week after launch. If you own the game, simply fire up your Steam client before October 29th and let the downloading begin! The Culture Pack adds a handful of new features and units to Total War: Rome II, along with a playable culture with three new factions: the Roxolani, Massagetae, and Royal Scythians. The Roxolani are known to be ruthless traders and warriors in their quest for riches, riding into battle on their horses with swords at the ready. The Royal Scythians, on the other hand, prefer a life of luxury, though they aren't opposed to picking up bows and spears to defend that life. The Massagetae are a loose group of tribes with a reputation for being skilled at animal husbandry and unrelenting warriors to boot. Kind of like acid reflux after a really good rack of ribs, when you think about it. Along with these new factions, the Nomadic Tribes Culture Pack adds a handful of new cultural traits, cultural objectives, research chains and military traditions. Each tribe has a particular skill to focus on, such as the Roxolani being skilled merchants or the Royal Scythian's aptitude for ranged weapons. By playing on their strengths you can push forward through the dusty steppe terrain, conquering tribes and waging war (total war?) on everyone in your path. 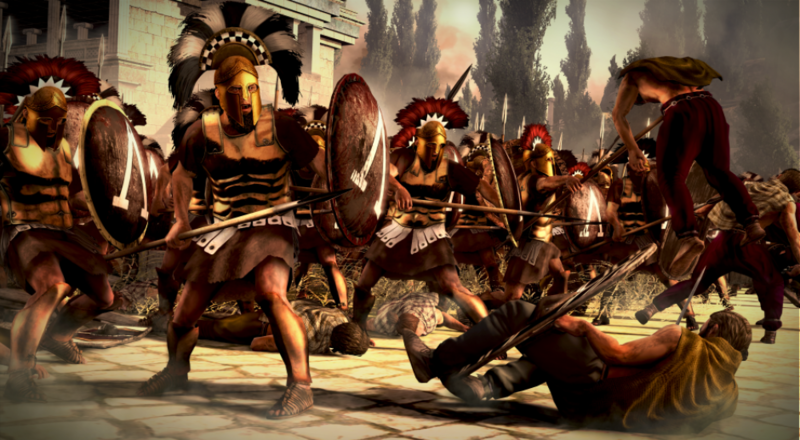 The Nomadic Tribes Culture Pack for Total War: Rome II is currently available for PC via Steam. It will be a free download through October 29th. Co-op supports two players online or via LAN.